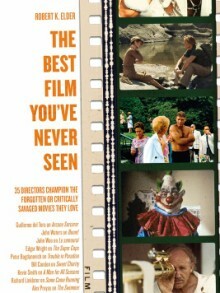 One of the coolest film-related books to come out this year is Robert Elder’s The Best Film You’ve Never Seen, which interviews famous movie folks about some of their favorite obscure films. The tome is a treasure trove of interesting and bizarre titles that will make your next trip to the video store (a good video store – you won’t find some of these movies down at your local Blockbuster, if it even still exists) a whole lot more interesting. The best thing about the book is that it will not only help you find interesting films well off the beaten path, but each chapter has a filmmaker talking at length about why they made this pick – and it often turns out that the movie being discussed has influenced their work in some way. This is particularly true of the chapter devoted to The Super Cops – which was selected by Edgar Wright. This 1974 cop film had a major impact on Wright’s Hot Fuzz, with Wright admitting that he even borrowed a line of dialogue for his own feature. “Well, The Super Cops is very much in that same kind of genre of '70s films based on real-life cases, along with The French Connection and Serpico. It's based on the real-life exploits of David Greenberg (Ron Leibman) and Robert Hantz (David Selby), two officers in not the best area of New York. Wright goes on to talk about the film at length in the chapter – which is filled with fascinating observations and tie-ins. Check out a trailer for the film below, then read a full chapter excerpt at USA Today. You can pick up The Super Cops on DVD via Amazon.